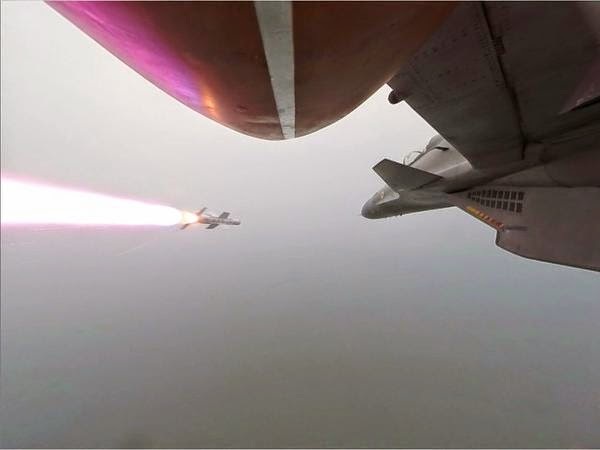 India’s Beyond Visual Range (BVR) air-to-air missile Astra was on Thursday successfully test fired from a Sukhoi-30 fighter aircraft for the second day in a row. The missile, which was fired off Odisha coast near the Integrated Test Range at Chandipur, Balasore, has been indigenously designed and developed by the Defence Research and Development Organisation (DRDO). 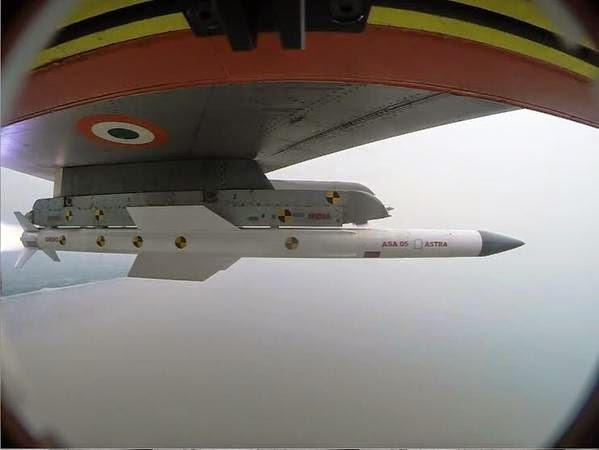 In today’s test flight, an Astra missile carrying telemetry equipment in place of the warhead, was fired from the Sukhoi-30 aircraft against a Lakshya (pilotless target aircraft) target. The target was successfully engaged and it was captured by telemetry and electro-optical tracking stations. These fourth and fifth launch campaign were coordinated by Air Headquarters including the flight of Lakshya target. In December 2012, India had successfully conducted the third developmental trial of ‘Astra’ from the integrated test range at Chandipur only. The Defence Research & Development Laboratory (DRDL), Hyderabad of the Missile Complex is the primary development agency for the missile. Dr V G Sekaran, Director General (Missiles & Strategic Systems) congratulated the team for developing and testing such a complex system which is comparable with the best in the world. The Project Director Dr S Venugopal said that “the fourth and fifth Air Launch of Astra was once again perfect in all respect and engaged the target with precision. More tests will follow to prove its repeatability”. Astra has proved its capability as a formidable weapon, he said.